Nagaland is the mountainous state in the Himalayan region It is rich in culture and heritage and also mokokchung tourist places is one of the most amazing tourist destinations with mesmerizing valleys and majestic hills. It is the place for the one who likes the tribal destinations. The sunrise and sunset give the breathtaking views and it is the perfect place to relax. It is also popular for adventurous activities like camping, trekking, and rock climbing. Here are some of the best destinations in Nagaland. Kohima: It is among one of the most popular attractions and is the capital of Nagaland. The place is located at a height from sea level. It is also the best place for trekking and camping. There is the place named as Kesama Heritage Village at a distance of 10 km with an open-air museum. Some of the most popular places to visit in Kohima are Shilloi lake, state museum, and Japfu peak. Dimapur: Dimapur is the main entry point of Nagaland. The place is also known as the commercial center. The place is surrounded by natural beauty and gives some scenic and mesmerizing views. Some of the best places to visit in Dimapur are The Kachari Ruins, Dimapur Jain temple, and Nagaland Zoological Park. Mokokchung: Mokokchung is considered as one of the most developed and social cities in Nagaland. The is most famous for Christmas and new year celebrations. 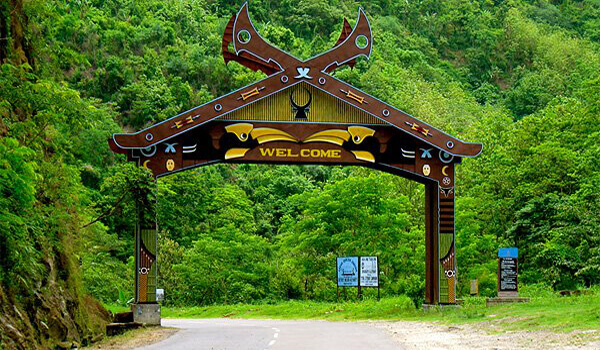 It is the place will truly introduce with the tribe and tradition of Nagaland. The city is also rich in culture and heritage. It is one of the most visited cities with picturesque hills and musical sounds. Some famous places to visit in Mokokchung tourist places are Changkikong Range, Changtongya, and Mokokchung village. Wokha: Wokha in Nagaland will introduce with the rural life. The city is home to the Lotha tribe. The [place is famous for the organic farming of pineapples, oranges, plums. It is the perfect place for nature lovers. Some famous places to visit in Wokha are Dayang Village and Tehurang valley. Phek: Phek is rich in flora and fauna and is famous for some picturesque landscapes. The city is covered with forests and will mesmerize you with natural beauty. The city has some scenic lakes and mountains. Some famous places to visit in phek are Zanibu peak and Dzudu lake.